FixBox Phone Repairs Dunsborough iPhone Repairs are the best in the South West. All of our phone repairs are completed by experienced technicians and using top quality parts. We repair phones at very fast speeds and at a fraction of the cost of our competitors. For any Dunsborough iPhone Repairs, simply call 0439920399 or visit us at 9A/42 Dunn Bay Road in the Naturaliste Forum. Just look for the signs at the roundabout in the middle of town. You can also contact us via email at help@fixbox.com.au. In the past, many Dunsborough iPhone Repairs have been overpriced, time consuming, and lacking the quality service that we provide. For years Dunsborough and Busselton locals and visitors would travel to FixBox Phone Repairs in Margaret River, to take advantage of our superior service. So we went the extra mile, or 30 miles to be precise, and we brought ourselves closer to you with our new Dunsborough store. 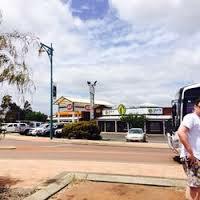 We’re located at 9A/42 Dunn Bay Road, Dunsborough, in the Naturaliste Forum next to IGA and Bankwest. We don’t just provide a fast cheap and quality Dunsborough iPhone Repair service. We also offer credit card and Eftpos services, a conveniently located walk-in shop packed full of phone accessories that actually work, free and knowledgeable advice, lots of smiles, and convenient hours. Keep an eye out for all of the special offers on our FixBox Phone Repairs Facebook or Twitter page for our special offers and super low prices. We love to engage with our customers and give them every reason to come back when they need phone and tech help. FixBox Phone Repairs Dunsborough don’t only provide a Dunsborough iPhone Repairs service, we also repair phones and tablets made by Samsung, HTC, Sony, Nokia, Microsoft and LG, among others. We provide obligation free quotes on all our repairs, including water damaged phones. So come in and experience the difference that others talk about!